Dr. Fraga is board certified in general pediatrics by the American Board of Pediatrics. She attended Dartmouth College, where she was awarded a bachelor of arts degree in history. She earned her medical degree from the University of Rochester School of Medicine and Dentistry. She went on to complete her training in pediatrics at the Children’s Hospital at Montefiore of Albert Einstein College of Medicine. She enjoys taking care of children of all ages, from newborns to adolescents. She cares for children of all backgrounds, from healthy to the medically complex. Dr. Fraga is fluent in Spanish. During her training, she practiced medicine abroad in Spain and Guatemala. She is a member of the American Academy of Pediatrics and has been involved in advocacy initiatives to improve the wellbeing of children. She joined Westmed in July 2015 and has attending privileges at Greenwich Hospital. I could not say enough about my children's doctors she is the greats... I love her and my kids do as well... so blessed to have found her. Amazing staff/providers. Zero complaints. Five star service. 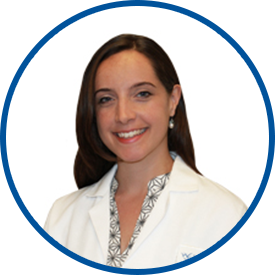 Dr. Fraga is knowledgeable, kind, and easy to speak with. She always listens to my concerns and is helpful with finding a solution. She's a great asset to WestMed and I'm glad she's my son's health care provider.